I can hardly believe it, but September marks one full year of living in Georgia. Part of me feels like I was living in Seattle just yesterday, but at the same time, my life here feels so ordinary and routine that it feels like so much longer. I've officially begun my second year of Seminary and it's a big step up from my first year. I'm taking two theology classes, which is where it really gets fun. I started my internship at Pulse Church, where I'll be all year. I have a feeling that this year is going to be really hard, but I don't think that's a bad thing. I'm going to be stretched, humbled, and tested in every way, but I think I'm ready for it. I always knew Seminary was going to be a time of big change but last year was pretty smooth sailing. Bring on the choppy waters and stormy seas ahead. Middler Year is not messing around. Last year, I had it pretty easy academically and this year is certainly making up for it. I'm taking 3 classes, auditing another, doing my Supervised Ministry internship, and still working for a non-profit organization part-time. It's all exactly what I want to be doing and I'm so thankful. I still feel like I'm just treading water to keep from drowning, but I'm so excited for all that I have to learn ahead. I am obsessed with the Enneagram these days and I think this is my favorite book I've read on it. If you are new to the Enneagram, I'd highly recommend starting here. I've learned so much about myself, my friends, and my family. It's given me a language to understand why I am the way that I am and how I can grow. If you read let me know what number you are! You can take a test online, but the best way to find out your number is to read about each type and see which one resonates best (or makes you most uncomfortable)! The tragedies keep coming day after day in this country, and in this world. We got hit by Irma this month, and although there was some damage in our city, it was nothing compared to the crisis in Houston, Florida, and most of all, the Caribbean. I am devastated by the crisis in Puerto Rico and the US Virgin Islands. The photo above was from a prayer rally we planned on campus for the Administration's announcement that they are ending Deferred Action for Childhood Arrivals. The Administration keeps finding new and cruel ways to dehumanize people and it is sickening. This isn't a very hopeful section, but honestly, it's pretty hard to have hope right now. So instead, I have lament, which is enough to get me through the day. Leslie and I made the most delicious Lavender Earl Grey Tea Lattes and I've been enjoying them all month. I keep a bottle of lavender syrup in my fridge, so it's a simple way to make mornings a bit more pleasant. This photoshoot might be my favorite one yet- the setting was perfect and Leslie knocked it out of the park with the pictures. The food blog has been such a fun little passion project. I'm approximately 4 years late to the game on this one, but I finally started watching because I found it all on Hulu (where I pay for no advertisements because I'm bougie and impatient). 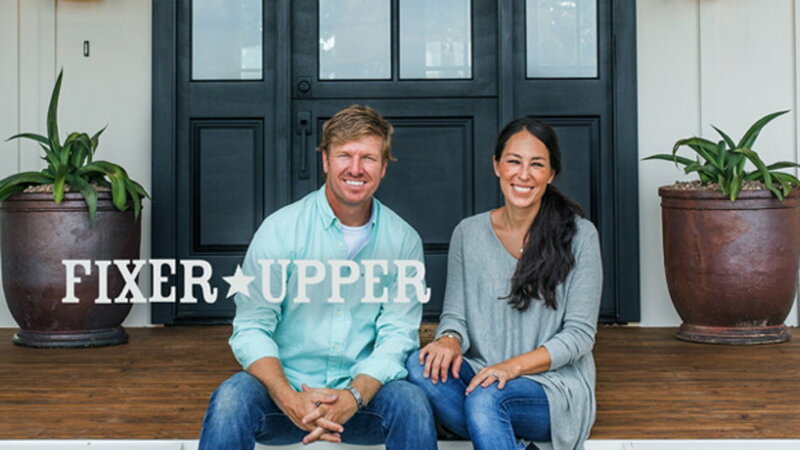 I love home renovations and while I'm not quite as hooked on shiplap as these two, their show is delightful. Real talk: I'm still not feeling "Look What You Made Me Do." I got too sucked into the insane analysis to form my own opinion, and honestly, I just don't like the song that much. However, Ready For It...? Now, that I am here for. I don't even care if your judgment of me just went down a little. I thought it might be fun to share some of my favorite social media accounts that I follow. While I love using Instagram and Twitter to keep connected to friends and family, there are also a ton of funny and adorable accounts that brighten up my feeds. The photos are clickable links. Emily McDowell makes beautiful stationery and cards that say just the right things. Pete Souza is the former Obama Whitehouse photographer. No one throws shade like Pete. It's legendary. Marian Drew draws delicate and profound illustrations about life, hardship, and the ways to describe the indescribable. National Geographic C'mon. It's NatGeo. Need I say more? Chrissy Teigen is the clapback queen of 2017 and she's worth following on twitter as well. Plus, I can't wait to make this banana bread! Jessica Shyba is an insta-famous mom with cute kids with cute animals. What more could we ask for out of Instagram? Leo Faverau is my favorite podcaster's dog, who has his own instagram account now. That was a weird sentence, but 2017 is a weird year, so cut me some slack. After a year of living in Georgia(! ), I finally got to go hiking on the Appalachian Trail! I went hiking with some friends on Blood Mountain, which is the highest peak on the AT in Georgia. It was a stunning hike and well worth the drive. After last month's epic backpacking trip through the Sierras, I had to readjust to the steady and slow hills of Georgia, but I'm learning to love their beauty.